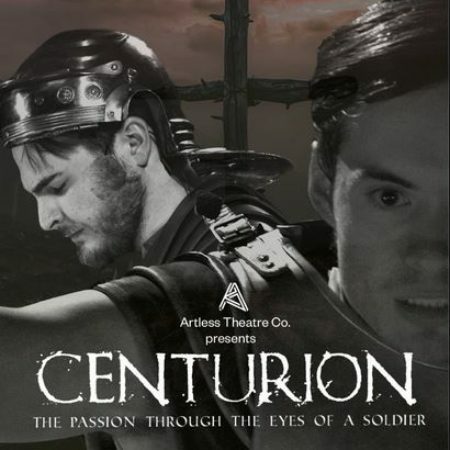 Artless are excited to be bringing back their original Easter production ‘Centurion’. Using multimedia, immersive sound design and an original perspective this new take on the classic passion play helps those with or without faith to reengage with this life changing story. A battle hardened and seasoned veteran, the Centurion must come to grips with his past. Through his Jewish servant Rachel, he finds out more about Jesus’ radical teaching on forgiveness, but is torn between his duty to Rome and his own self doubts. The Centurion comes to St. Michael’s on Tuesday 16th April at 7:30pm. For tickets please contact Ken or Chris Perkins. Tickets will also be available on the night of the event.